"Sampath Speaking" - the thoughts of an Insurer from Thiruvallikkeni: James Cook's statue in New Zealand to be removed !! James Cook's statue in New Zealand to be removed !! Aoraki / Mount Cook is the highest mountain in New Zealand. Its height since 2014 is listed as 3,724 metres (12,218 feet), down from 3,764 m (12,349 ft) before December 1991, due to a rockslide and subsequent erosion. A popular tourist destination, it is also a favourite challenge for mountain climbers. Cook Strait lies between the North and South Islands of New Zealand. It connects the Tasman Sea on the northwest with the South Pacific Ocean on the southeast, and runs next to the capital city, Wellington. The mountain as also the strait are named after James Cook, the first European commander to sail through it, in 1770. Captain James Cook FRS [1728 – 1779] was a famed Explorer, navigator, cartographer, and captain in the Royal Navy. He is hailed hero of the first recorded circumnavigation of New Zealand. Cook joined the British merchant navy as a teenager and joined the Royal Navy in 1755. In the early 1760s, he was given a ship and tasked with charting the island of Newfoundland off the coast of Canada. The map he produced was so accurate that it was still in use in the 20th century. Cook’s skill at charting the seas would later become a crucial tool in his explorer’s arsenal. He won command of his first round-the-world voyage in part because he could be trusted to navigate in uncharted territory and bring home precise maps of the lands he discovered. Cook was attacked and killed in 1779 during his third exploratory voyage in the Pacific while attempting to kidnap Kalaniʻōpuʻu, a Hawaiian chief, in order to reclaim a cutter stolen from one of his ships. 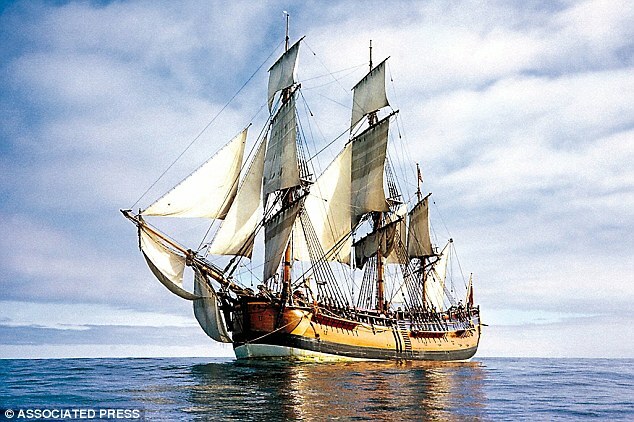 HMS Endeavour, also known as HM Bark Endeavour, was a British Royal Navy research vessel that Lieutenant James Cook commanded to Australia and New Zealand on his first voyage of discovery from 1768 to 1771. Recently there were reports that HMS Endeavour associated with Capt Cookj, the legendary ship that toured Australia 250 years has been discovered off the coast of America. Archaeologists learned 20 years ago that the ship was scuttled in Newport Harbour. But the Rhode Island Marine Archaeology Project (RIMAP), said experts have 'narrowed the search for the Endeavour from a fleet of thirteen vessels to five, and now possibly to one or two archaeological sites'. The Kiwis are not any aggressive bunch, but play their Cricket in a calm and composed manner, much liked by all .. now comes the news that the statue of Captain James Cook in New Zealand will be taken down after it was vandalised by the Maori community who disagreed with it. MailOnline reports that locals in Gisborne, on the North Island, have been daubing the statue in paint or stealing its sword since it was erected in 1969 without consultation. 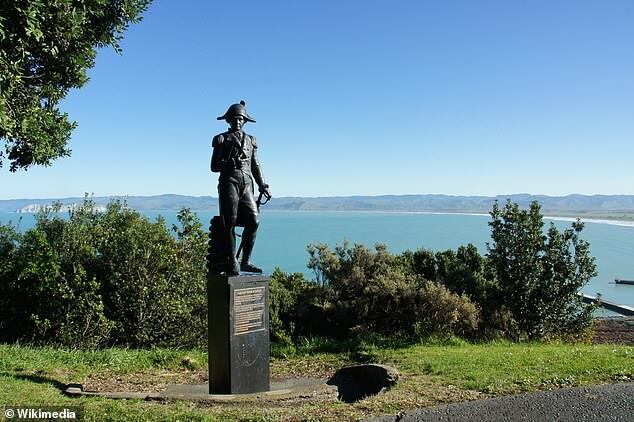 But with the 250th anniversary of Cook's landing approaching next year, Gisborne council has voted unanimously to move the statue to please the Ngati Oneone tribe, which says its ancestors arrived long before the British explorer landed and have labelled him a 'murderer'. Cook joined the British merchant navy as a teenager and joined the Royal Navy in 1755. He fought in the Seven Years' War and later surveyed and mapped much of the entrance to the Saint Lawrence River during the siege of Quebec. Cook was attacked and killed in 1779 during his third exploratory voyage in the Pacific while attempting to kidnap a Hawaiian chief, in order to reclaim a cutter stolen from one of his ships. The Ngati Oneone say Cook's crew shot and killed six of their tribe, and they blame him for opening up the pathway with Europe, which brought settlements from the West and the demise of their own culture. The tribute, atop an ancestral hill called Titirangi, could be replaced with one of Raikaitane, the Maori chief at the time of Cook's landing in 1796. There are also calls to rename the area around Cook's Plaza, which the captain dubbed 'Poverty Bay' after landing there but being unable to restock his ship. Councillor Meredith Akuhata-Brown said: 'It's significant because James never climbed Titirangi and so for local iwi [tribes people] it's been a massive disappointment that he's maintained that space for as long as he has.' She added it would see a more 'honest' history of New Zealand discussed from now on. The statue will be housed in nearby Tairawhiti Museum until a permanent place is found for it. It is part of a growing push to remove statues of colonial figures in New Zealand, especially those accused of atrocities towards the Maoris.